You can't go wrong with the classic crêpe served with lemon and sugar but I fancied doing something a little different for pancake day this year. These fluffy and light American style ones are a firm favourite in my house but we keep them for special occasions. 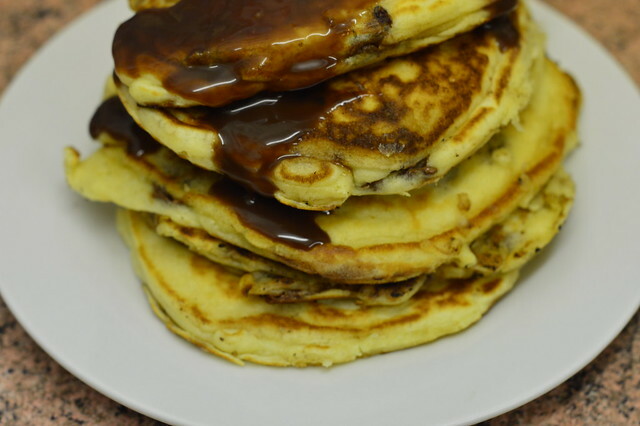 I wish I could eat a huge stack of pancakes for breakfast everyday but I don't think my body could cope with the obscene amount of maple syrup I pour on the top of mine. If you want to try making these yourself just follow the simple instructions below. 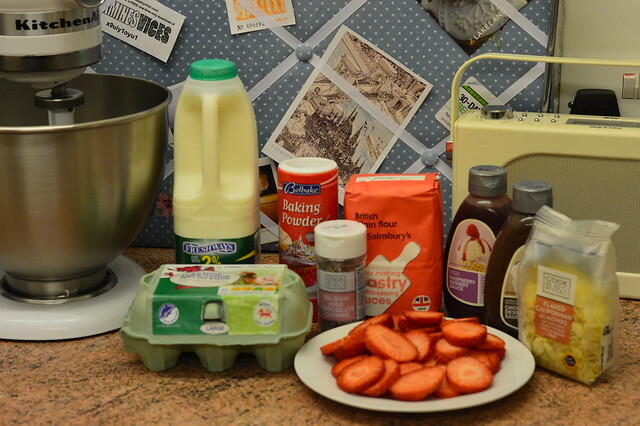 Pour the milk, eggs and butter into the flour mixture and, using a whisk, beat until you have a smooth batter. If it's lumpy keep on whisking it. It will seem really thick but that's what we're looking for. Let the batter stand for a few minutes. Heat a non-stick frying pan over a medium heat and add a knob of butter. When it's melted, add a ladle of batter. I add two/three because my pan is big and it means I can cook a few at the same time. 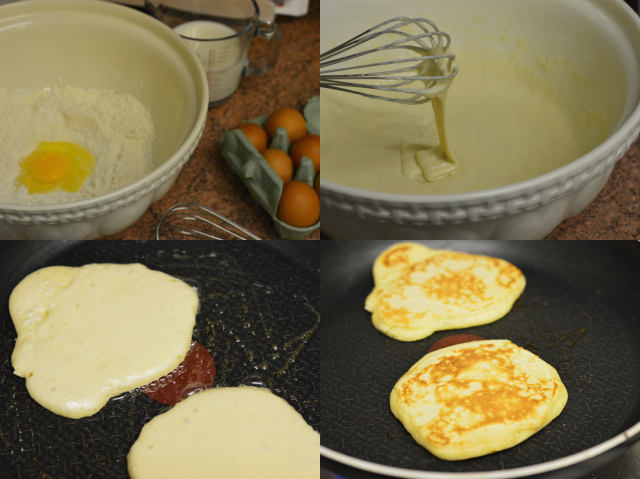 Wait until the top of the pancake begins to bubble, then turn it over and cook until both sides are golden brown and the pancake has risen to about 1cm (½in) thick. Repeat until all the batter is used up. You can keep the pancakes warm in a low oven, but they taste best fresh out the pan. 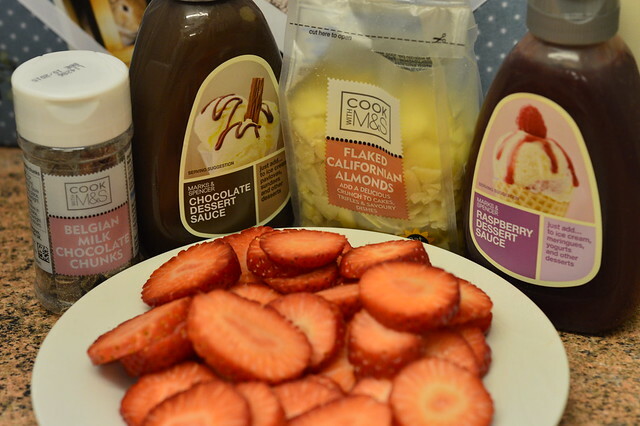 Once I had roughly used half of my batter I tipped in a tub of M&S Belgian Chocolate chunks so I had some plain pancakes and some with gooey chocolate in the middle. I hope I've inspired you to try something new. 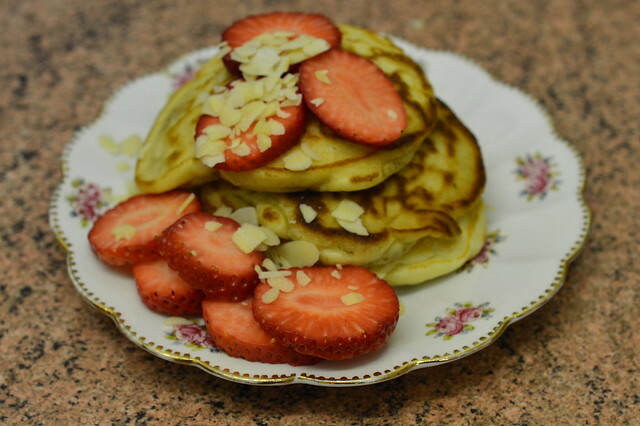 What type of pancakes will you be having tonight? I wish I could gobble these up right now Gem! Ok, these look amazing! Not sure the hubby would approve though, he's a sucker for the crepe style ones with lemon & sugar - personally, I'll be having the same as him, but with golden syrup instead, NOM! Oh yum. I should probably be avoiding recipes like this for the time being; have decided to give up sugar for Lent. Argh. These look gorgeous Gem, I tend to do mine nice and thin but am very tempted to give these a go.